No, I was funded for the 2014 and 2015 seasons. I started racing in the local races in London as a fourteen year old, with Cycling Club Hackney. I soon started racing in Belgium under John Barclay and the late Alan Rosner and loved it out there. As a last year under 16 I was accepted on to the GB Talent Team, with the highlight of the year going to the European Youth Olympics. I was subsequently accepted on to the Olympic Development Programme over the next two years as a Junior, gaining experience racing on the Track and Road all across Europe, including National, European and World Championships. 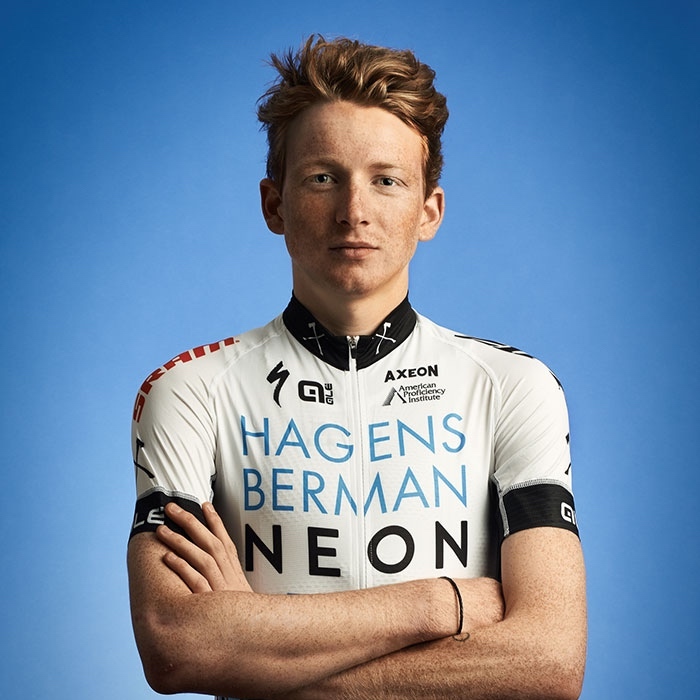 Since becoming an u23 I have spent two years on Axel Merckx development programme, racing all over the World, in professional and u23 races, and also guesting for the National team at Nations Cups, Professional races and the World Championships. This year I will again be riding for Axel Merckx development team, in our latest guise, Axeon Hagens Berman. The team has an eight year history, placing over 15 of it's riders in to the World Tour and countless others in to the Pro Continental ranks. We have a huge variety of programme, from u23 races in Europe like Paris-Roubaix and Liege-Bastogne-Liege, to 2.HC Professional stage races, such as the Tour of California, over in the States. My race programme will be fairly similar to last year, taking in some big races in both Europe and the States. I hope to race as much as possible with the Great Britain National team and also of course with Axeon Hagens Berman.